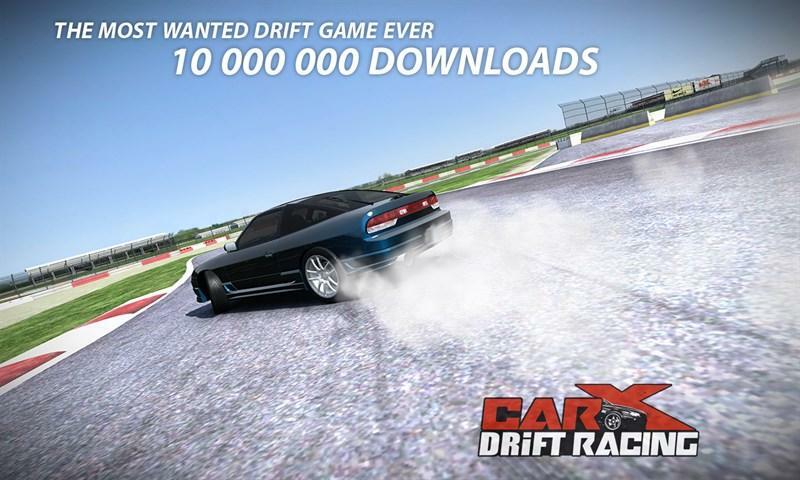 THE MOST WANTED DRIFT GAME EVER More than 10,000,000 people around the world downloaded CarX! Warning! Be careful, this application may attract you on many hours, don't forget to have a rest at least every 40 minutes! THE REAL DRIFTING SIMULATOR - CarX Drift Racing gives you a unique experience in the handling of sport cars by the simple and the intuitive way - If you like to drift, get ready to spend many hours playing this game - Use separate handbrake button to start drifting - Paint donuts burning tires - Animation of the deep smoke while drifting THE MOST REALISTIC MOBILE RACING GAME - Insane feeling of powerful sport cars - Unique driving on different surfaces - asphalt, grass, sand - Racing on high detailed tracks - You can customize your handling scheme - You can select different setups for every car - Stock, Turbo, Racing, Drift - You can change color of your car and discs - Live cameras and replays - You can upload your best replays to youtube CAREER MODE - Win cups and earn coins - Unlock 11 sport cars and new tracks - Ghost Mode for competing with your best race ONLINE WORLD TIME ATTACK CHAMPIONSHIP - Compete with your friends and beat world records - Time attack racing mode with worldwide ranking TRUE ENGINE AND TURBO SOUNDS - Original engine sound for every car - Simulated turbo sound and the blow off valve! ADDICTIVE MUSIC NEW 6 licensed sound tracks TIPS: - Your COINS, unlocked cars and tracks are saved on your device DO NOT DELETE game before you update it, or all your progress will be LOST! - To make game run faster close all another applications in task manager [double click round button and drag another applications upside] - LIKE facebook.com/carx2 for news and updates If you like to play high-end racing games, get ready to spend many hours playing CarX. 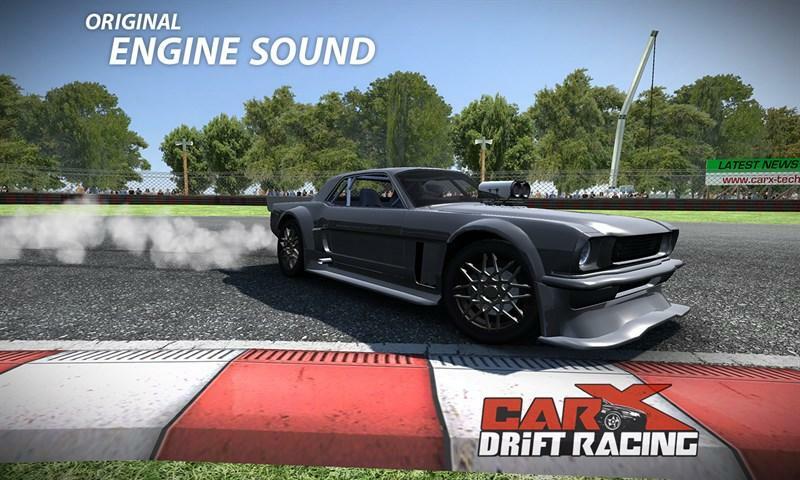 Enjoy your time with CarX Drift Racing!